See Chris Stokes next on Friday 26th & Saturday 27th JulyBBC NEW TALENT HOT-LIST 2017Brilliantly wry and award winning comic (Best Show – Dave’s Leicester Comedy Festival 2012) – Chris Stokes has been performing stand-up professionally since 2009. 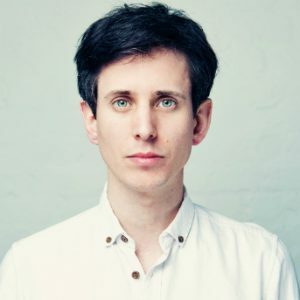 His career has seen him support the likes of Milton Jones, Pete Firman and Stewart Francis on tour, appear on ‘Dave’s One Night Stand’ (Channel Dave), BBC Radio 4, 5Live and Radio X (formerly XFM) and take four critically acclaimed solo shows to the Edinburgh Fringe Festival. Chris is also a regular on the UK comedy circuit and is frequently booked for the Glees, Stands, Baby Blue, Frog & Bucket, Manfords and Highlight among others.With a hilarious and erudite turn of phrase, Stokes has been described as playing on social misconceptions and dismantling them both on stage and on the page via gag-packed first-hand anecdotes told with a charming and offbeat sincerity.As well as stand-up and writer, Chris is also a talented actor having started in a number of plays, both comedy and drama and is also one quarter of new sketch comedy group The Mitford Sisters.Chris is a keen and gifted writer and has had a variety of articles published. Currently, he is working on a number of development projects across both television and radio, alongside writing for his 5th solo show, ‘Eternalist’ set to debut at the Edinburgh Fringe Festival next August.